Mallmore House is located on the shores of Clifden Bay one mile,(1.5 km.) 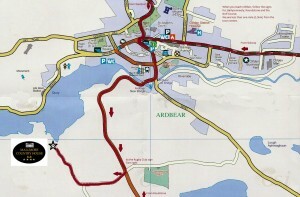 or a 20 minute walk from Clifden Town centre. 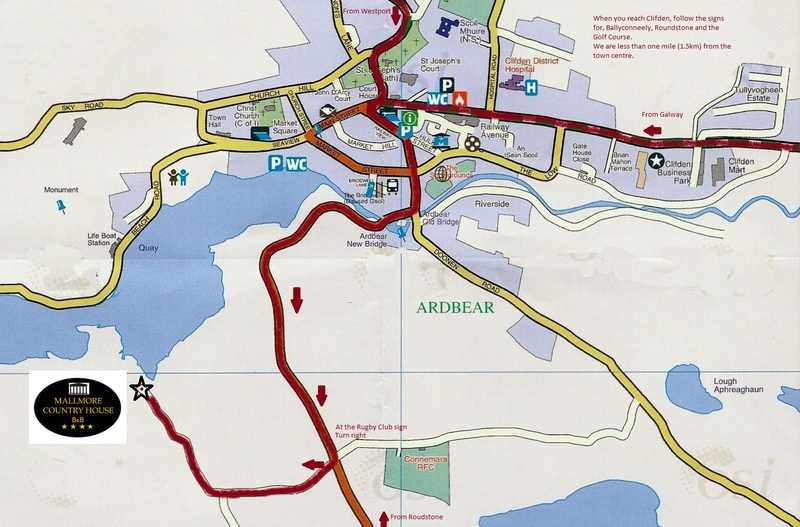 Follow the sign for Roundstone and after half a mile, take the turn on your right, which is signposted for Mallmore House.